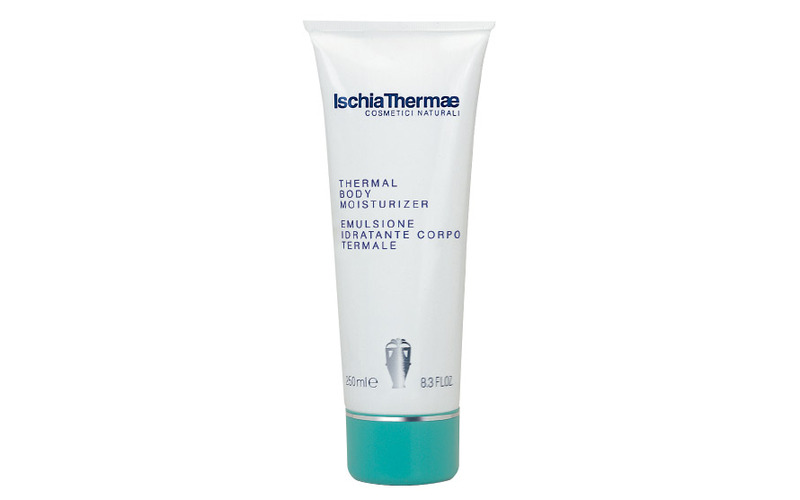 250 ml tube Extraordinary multi-active body cream, suitable for all skin types. Its formulation based on Ischia Thermae's thermal water, providing intense hydration, helps to improve the cuta-neo renewal process. Extraordinary multi-active body cream, suitable for all skin types. Its formulation based on Ischia Thermae's thermal water, providing intense hydration, helps to improve the cuta-neo renewal process. It works by greatly reducing the dryness and roughness of the skin. A natural UV protection and hydrophilic and film-forming agents ensure both effective environmental and solar aggression prevention, as opposed to early signs of cuta-neo aging. The texture of the skin on the surface takes on an extremely smooth, tense, and softer appearance. The skin quickly finds a joy-vanilla radiosity. Morning and / or evening, after the bath or shower, apply the cream on the body and massage it until full absorption. Apply also before and after outdoor exhibitions or sports, to protect against solar and environmental aggression.